Fertilizer may not make your plants grow but they do provide them with additional nutrients, giving plants an extra boost when needed. However, deciding on which one to use can sometimes be overwhelming. Choosing the best fertilizer for garden plants depends on what you’re growing as well as what your preference is regarding conventional methods. 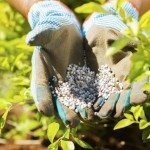 Let’s learn more about using chemical fertilizers in the garden. Chemical, or conventional fertilizers, are synthetic (manmade) products that appear in many forms, such as granular or liquid. Although conventional fertilizers are still widely used, they do have their downsides. For instance, conventional fertilizers can be harmful to the environment and, if overused, can burn the plants. 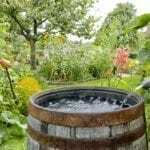 Nonetheless, millions of gardeners prefer using conventional fertilizers over other methods, as they are less expensive and fast acting. Granular fertilizers work better on lawns or other large garden areas and landscape plantings, as these are generally slow releasing. The plants take in nutrients during periods of rain and watering intervals. Liquid fertilizers are fast acting. They are great choices for container plantings or smaller garden areas. These fertilizers are the easiest to apply and most popular since you can apply them as you’re watering. Plants require three major nutrients for healthy, vigorous growth nitrogen, phosphorus, and potassium. All fertilizers, organic or conventional, should contain some level of each of these nutrients in some form. The percentage is usually listed on the package in a number NPK ratio, such as 10-10-10 or 10-25-15. Plants also require many micronutrients. Unfortunately, not all conventional fertilizers include them. Over fertilization is the most common problem associated with using conventional fertilizers. This not only results in stunted growth and burnt foliage but can make plants more vulnerable to pests and diseases too. Environmental problems with conventional fertilizers arise when excess nutrients find their way into and contaminate water resources. They can even threaten wildlife when they drink from these resources or feed on the garden plants. Therefore, care should always be taken whenever using conventional fertilizers. Conventional fertilizers do not help the soil as organic types, like manure or compost, do. While organic forms may be slower, they are healthier alternatives. However, if you choose to use conventional fertilizers, follow directions carefully and use caution to avoid over fertilizing.